Do you like taking photographs? Check out this week’s photo challenge of finding unexpected textures in the world around us. My submission is of a smooth jellyfish upon rough sand. 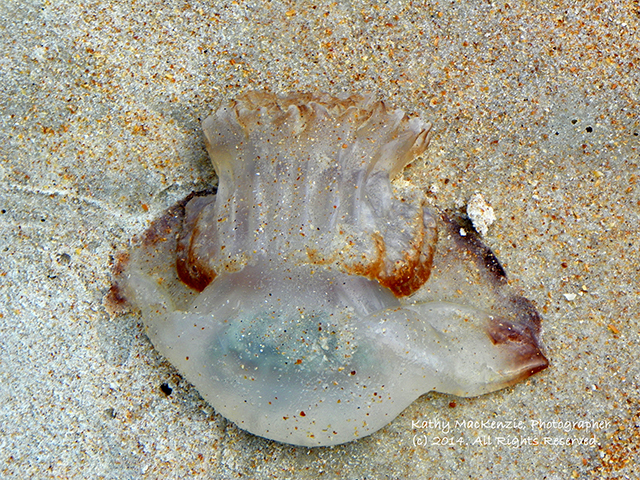 Jellyfish on sand – a study of textures. Although jellyfish have been around for over 650 million years, they’re still very mysterious. In fact, just yesterday a giant and extremely venomous jellyfish was found off Western Australia’s northwest coast. Most jellyfish or jellies are free-swimming marine animals consisting of a gelatinous umbrella-shaped bell and trailing tentacles, they live up to a year and survive by eating just about anything they run into! Dog Owners – This is for you! Have you heard about this BLT? Where have all the Bengals Gone?